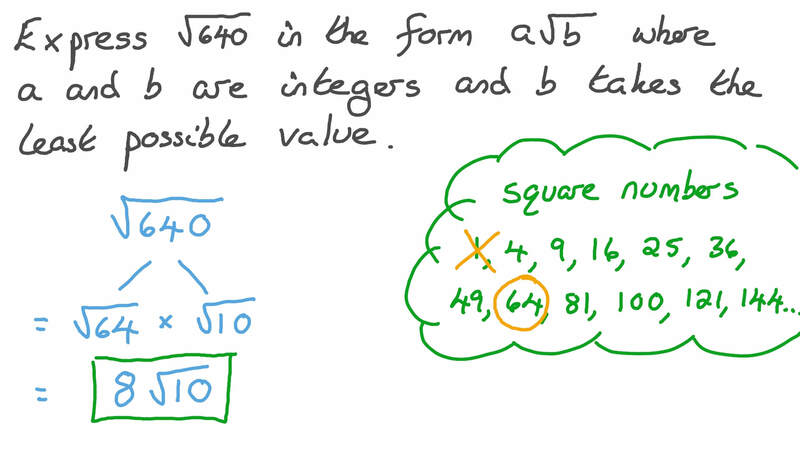 In this lesson, we will learn how to evaluate square roots and simplify radical expressions. Express √ 6 4 0 in the form 𝑎 √ 𝑏 where 𝑎 and 𝑏 are integers and 𝑏 takes the least possible value. 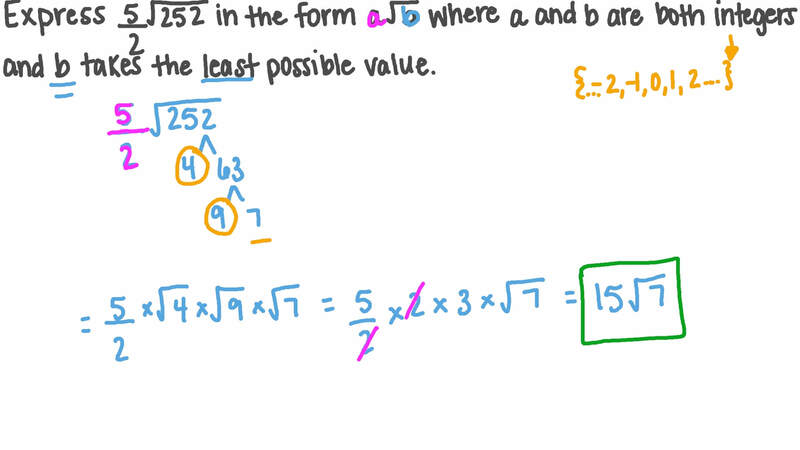 Find the conjugate of 6 √ 7 + √ 3 , then find the product of 6 √ 7 + √ 3 and its conjugate. 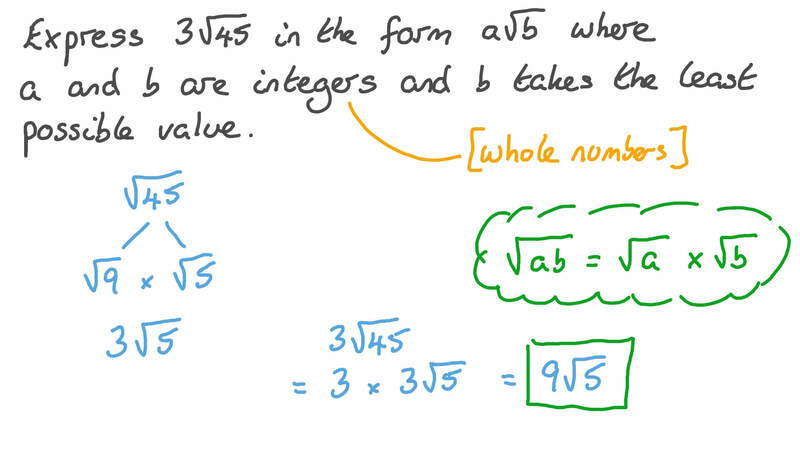 Express 3 √ 4 5 in the form 𝑎 √ 𝑏 where 𝑎 and 𝑏 are integers and 𝑏 takes the least possible value. Express  5 9 4 4 ×  4 4 5 9 in its simplest form. Simplify √ 4 8 6 ×  √ 4 2   √ 7  − 5 − 5 . Express 5 2 √ 2 5 2 in the form 𝑎 √ 𝑏 where 𝑎 and 𝑏 are integers and 𝑏 takes the least possible value. Given that  𝑎 𝑏 = √ 𝑎 √ 𝑏 , simplify  2 5 𝑥 4 . Write √ 8 + √ 2 in the form 𝑎 √ 2 , where 𝑎 is an integer.